Many people unknowingly suffer from bruxism – the clenching and grinding of teeth, – especially in their sleep, and this leads to pre-mature wearing down of the tooth structure. Frequently paired with sleep apnea, tooth grinding can become a serious problem, causing long-term weariness, irritation and lack of sleep. 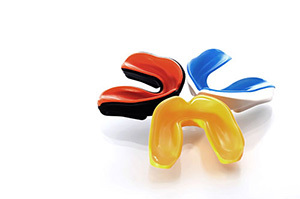 Our guards are specifically fabricated to fit your jaw to ensure that you protect your teeth, without impeding breathing or becoming uncomfortable. 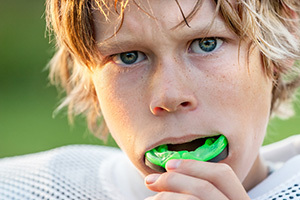 For people who participate in most contact sports and all forms of martial arts, similar tooth guards are practically necessary.